The nation is remembering Dr Bhimrao Ramji Ambedkar, the chief architect of the Indian constitution, on his 128th birth anniversary today. 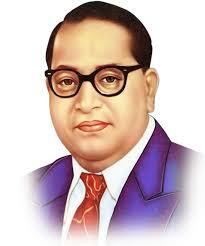 On this day in 1891, Babasaheb Ambedkar was born at Mhow, now known as Dr Ambedkar Nagar, in Madhya Pradesh. Several functions have been organised throughout the country to mark the day. Floral tributes will be paid at Babasaheb's Statue in the Parliament House Complex this morning. President Ram Nath Kovind has greeted people on the occasion. In his message, Mr Kovind said, Dr Ambedkar was an outstanding leader of the country's freedom struggle and a staunch crusader for the rights of the downtrodden. The President said, Babasaheb envisioned a society where the weaker sections, historically deprived, peasants, labourers, and especially women get equal rights and respect. He asked people to pledge to learn from Dr Ambedkar's life and thoughts and follow his teachings. The government has declared a public holiday today for all Central government offices, including industrial establishments, throughout the country. Ministry of Personnel, Public Grievances and Pensions issued a memorandum declaring the public holiday. Prime Minister Narendra Modi today paid tributes to Dr B R Ambedkar on his birth anniversary.